Both products are of such good quality. They are highly pigmented and very long lasting. 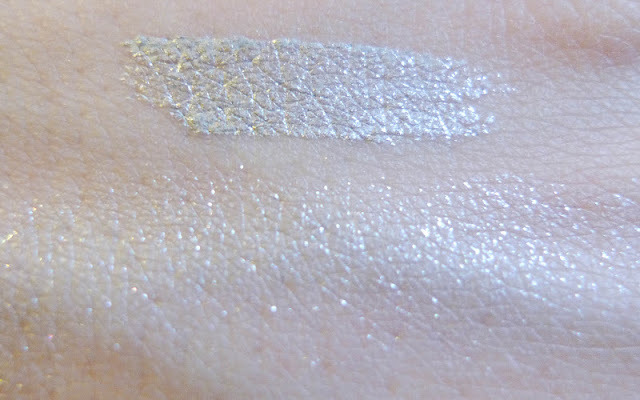 The Metallic Eye Gloss in 001 is a cool tone grey with silver shimmers with a slightly white undertone. It spreads easily and is not sticky once it is on. The felt tip applicator takes out the right among of products and makes it messless (besides the finger needed to spread out the product!). The Lip Lacquer in 001 is a medium pink with a slight corol undertone with micro gold and silver shimmers. They look more like a sheen when on. It is in a plastic applicator just like the Lancome Juicy Tubes, of which I am not a huge fan of in terms of its design. I don't know! I always feel like they look like makeup for kids. However after a few minutes of serious thinking, I understand why some of the most popular companies do design their lipglosses that way - because its the most effective, convenient and easy to control for get products. 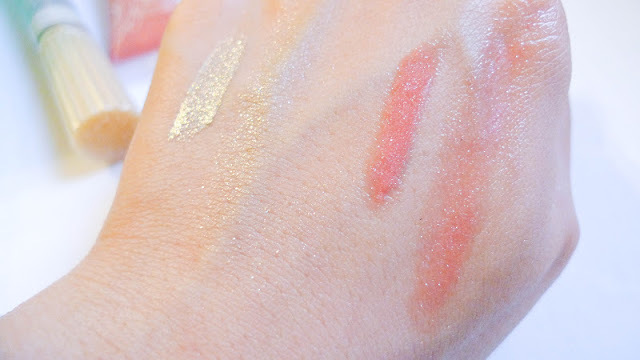 Compared to other neutral colored lipglosses I own, this is definitely one of the best quality, most comfortable to wear with a mild stickiness and versatile lipglosses that can easily stay put for a few hours. 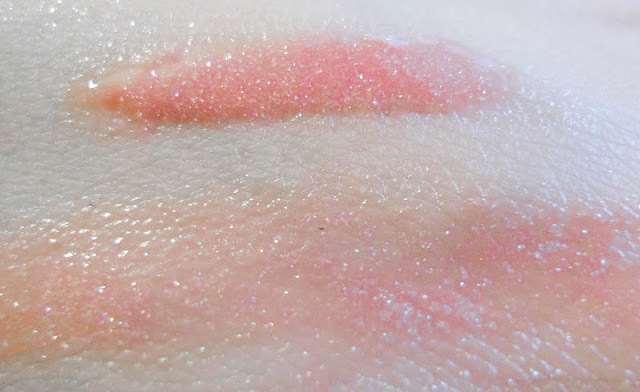 It has a slight floral scent and can be reapplied without causing peeling. I have been really digging the combo of brown and grey. 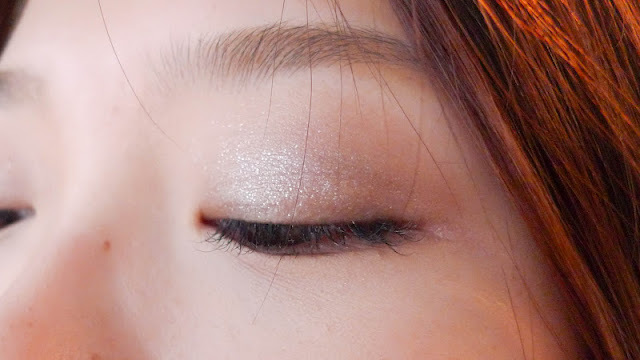 I like to dap the Eye Gloss on the center of my eyes. 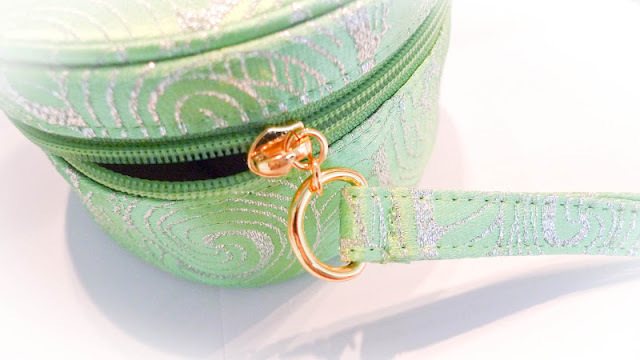 It looks rather natural yet the shimmers completes the look with sophistication. The lipgloss is just overall a match for no matter what type of eye colors I am wearing. 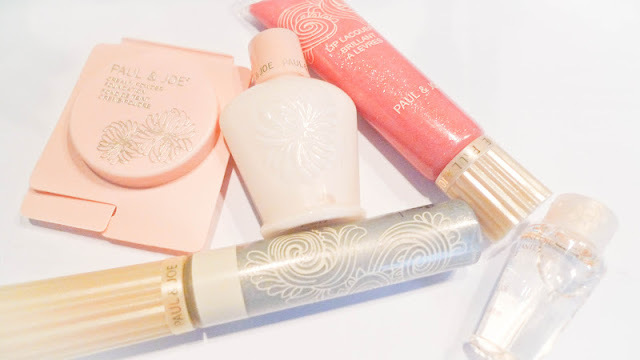 Overall I really enjoyed these products. Since I am traveling at the moment thus don't have a lot of makeup with me. 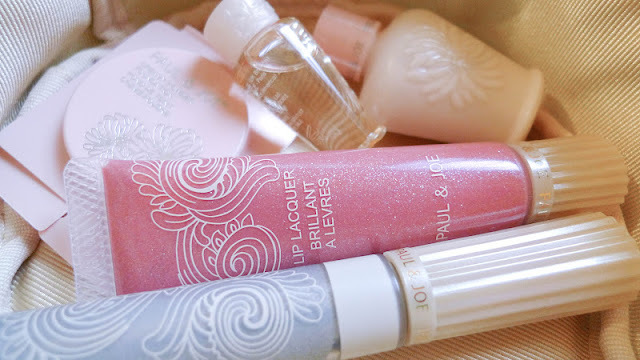 These versatile, comfy-to-wear products definitely help me out a lot. Since I got my lash extensions I have not been lining my eyes using other pencil/liquid eyeliners. I love the overall fresh look! 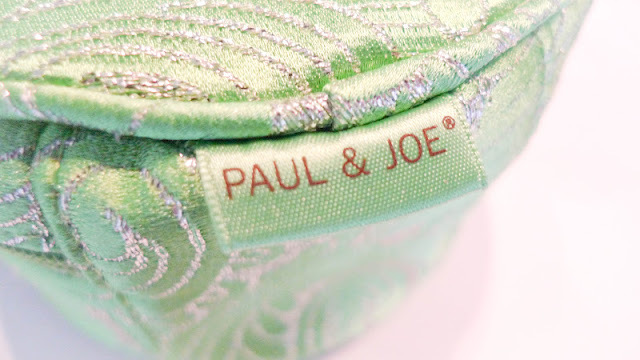 I will be sure to check out more Paul & Joe products in the future despite the fact that they are discontinued by Anthropologie and extremely difficult to get our hands on. Hope you all are having a fantastic weekend! See you all when I am back from Taiwan on Valentine's Day <3!